Her sister Lydia's child William Smalley Shaw (buried 31/05/1837). Lydia had died in 1835. Her brother Joseph's children William (buried 2/06/1837) and Francis (buried 12/05/1837). Jospeh's wife Jane died a year later leaving him without a family. He married the farm servant and started a new family. I wonder if the dead are somehow linked to each other or if it was representative of deaths in the community that year. I read somewhere that a particularly bad flu went through the UK around that time. In 1990 we corresponded with Margaret Ross, whose husband was a descendant of Sarah Barton (b 1830). Sarah was a daughter of Sarah Smalley and John Barton. "I notice you're still looking for Black Dyke Farm. Your best bet is to download Google Earth then click on the attached placemark. Google Earth has great quality images of the area, the location is just a paddock now so there is no building sadly. For your info, the approximate GPS location of the location is 52.697692, 0.104972. I think that's decimal rather than degrees. I found the location by going to http://www.old-maps.co.uk/ and typing in Newton though technically the farm is closer to Fitton End". Newton is close to Wisbech ("Capital of the Fens"), 10 miles south of The Wash . Just east of Wisbech is labelled marshland on the map. So Black Dyke is presumably to keep the water at bay. I have a copy of the wedding certificate for his second marriage in Leverington Parish Church to Sarah Pottinger on 20 Jun 1839, showing him as a widower and both of them resident in Mays' Lane at the time of marriage. He signed with his mark. As for censuses, you speculate that Jos Smalley of Leverington in 1841 may be James' brother Joseph and I agree. Clearly being about10 years older than his second wife required some masking. The marriage certificate simply describes both as 'of full age'. The 1851 census shows him as a farmer of 70 acres in Leverington, age 37, born in Newton with 6 children. He is still there aged 48 in 1861 and aged 62 in 1871. By 1881, aged 72, he and Sarah have moved to 89 Havelock Street, Leicester. He died in Leicester, aged 74, in Q1 1884. This age is a much better fit with the1809 birth date than the age of 25 shown in 1841. His wife died, aged 73 at the end of 1892. William and Lydia owned a farm, called Black Dyke Farm, in Newton. 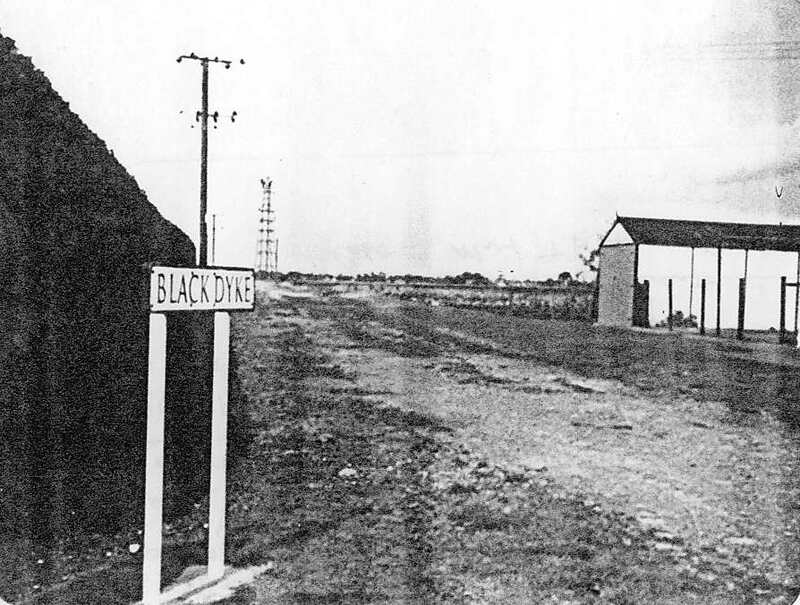 A road now exists in that area, called Black Dyke road (runs of Fen Road. Properties stand in the area, but it is not clear if they are original buildings. The land is very flat, mostly agricultural (Feb 2014). Her father acted as the Bailee for Thomas Shaw (son-in-law) and signed Allegation Bond in the sum of �200. It appears that Lydia's father was a mayor, in the police or a legal representation. 1851- Joseph and Sarah are farmers with their young children. Also living at the house is Eliza Knowles, aged 16, who is a~ living in Leverington. 1861- Joseph is a farmer of 40 acres in Wisbech, Leverington. Sarah (42), John (19), James (16), Josiah (9), Sarah Jane (12) and Eliza (11) are all living there. 1871- Joseph and Sarah are living in St. Augustine, Leverington. In addition to Joseph, Sarah (50) , James (26), Josiah (19) and Eliza (21) there is two others living there Diane Linnell (27) and Arthur S Linnell (2). Ages would suggest that it is Diana SmaII married or possibly widowed with a young son. 1881- Joseph (aged 72) had moved to 89 Havelock Street Leicester (St. Mary's parish). Sarah is living as well (62). Joseph is listed as the purveyor of milk (seller of milk). Also living there is Sarah Jane (32), Harry Smalley (7) and Charles Dawkes (27). M Smalley supplied some good information about his sources. I've bought a fair amount of microfiche from them (parish records) to confirm the results and get further information. Fortunately for Sarah's death I recorded my source in my software - it was one of the microfiche: "Newton-in-the Isle Parish Registers 1600-1852 CAM-PR114". I didn't note if it was under Barton or Smalley but I'm 99% sure it was under Barton from memory.